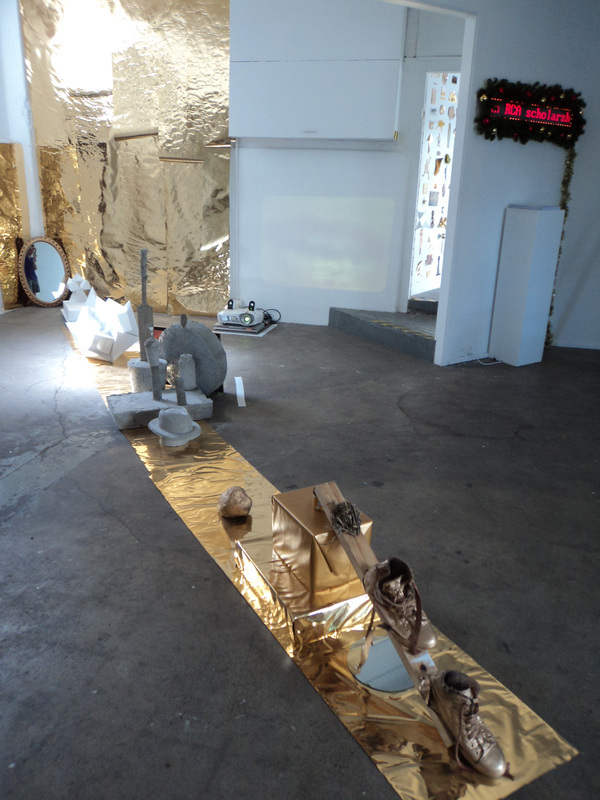 'The Golden Path' (installation view), collaboration with David Creed, 2011, foil, concrete, paper, grass, paint, projection and found objects, Pop Gallery, Woolloongabba. 'Gymnosperm', 2011, rope and found objects, Toowoomba Regional Art Gallery. 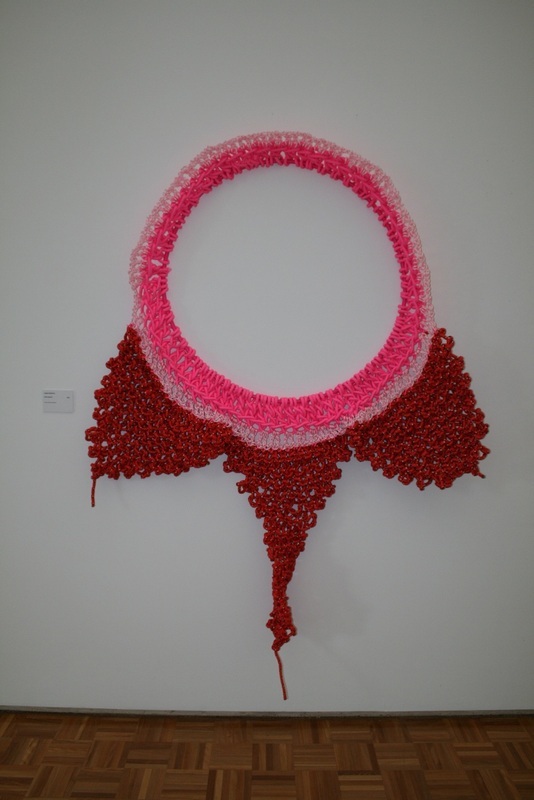 'Cups' and 'Bulb', 2010, embroidery thread, ANCA Gallery, Canberra. 'Rafflesia Chandelier' (installation view), 2009, rope, wire and found objects, Logan Art Gallery. 'Sandra Woolock in the Knit', collaboration with David Creed, Sarah Werkmeister, and David Spooner for Triple J personality Sam Simmons, 2009, knitting and wadding. 'Tactility' (installation view), 2008, Albury Art Gallery, and 'Blibs and Blobs' (installation view), 2009, Bundaberg Regional Art Gallery, second-hand blankets, second-hand clothing, wadding and pulleys. 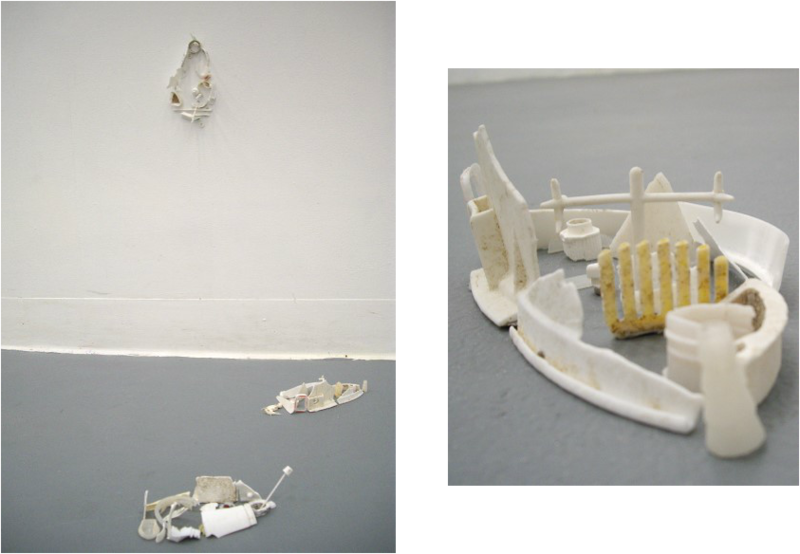 Untitled (boats from Straddie), 2008, white washed-up beach debris. 'Mon-stros-o-tree 2' (installation view), collaboration with David Creed, 2007-2008, furniture, Christmas trees, electronics, found objects, Galleria, Queensland College of Art.